The Golden State Warriors had a response to Fergie’s ex-husband, Josh Duhamel, calling Draymond Green a “prick” in the form of a semi-choreographed dance. 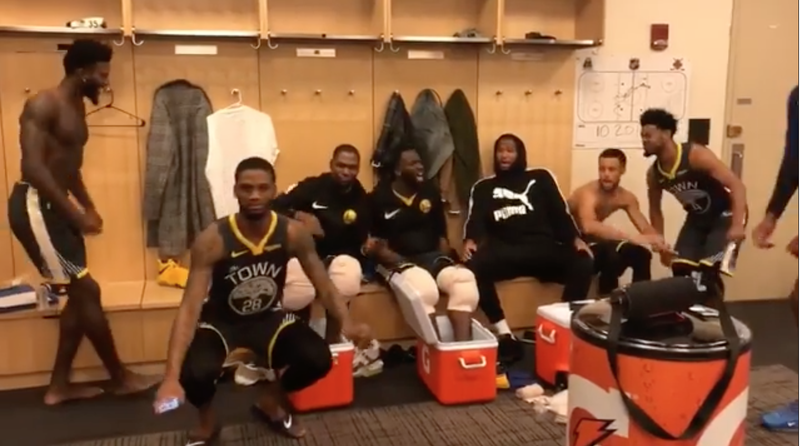 The team celebrated a comeback road victory over the New York Knicks in the locker room with a remixed version of Fergie’s embarrassingly poor rendition of the national anthem that Draymond Green famously laughed at. Even Kevin Durant and DeMarcus Cousins got in on the action and took additional shots at Duhamel in the comments of Steph Curry’s post. To his credit, Duhamel was a good sport about the whole situation and apologized on Twitter. Green took the apology in stride but appears committed to making the #FergieRemixChallenge a thing. The real losers of this response, however, are the Knicks, who couldn’t beat the Warriors in front of a home crowd when the minds of the reigning champs were clearly somewhere else.